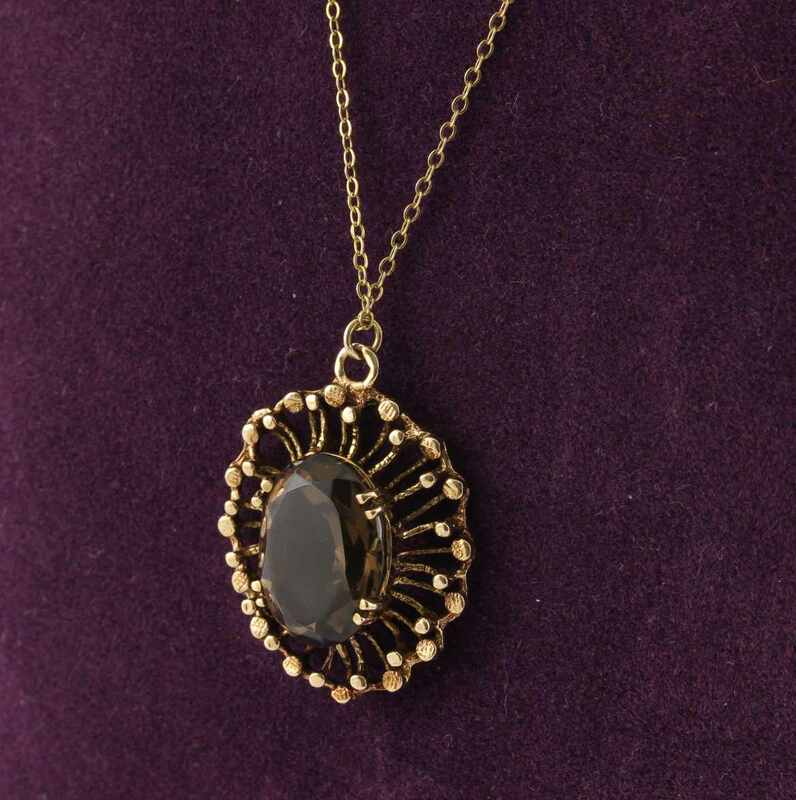 Vintage 1970's Smoky Quartz 7.89 ct Oval Pendant Necklace with 48 cm Gold Chain. 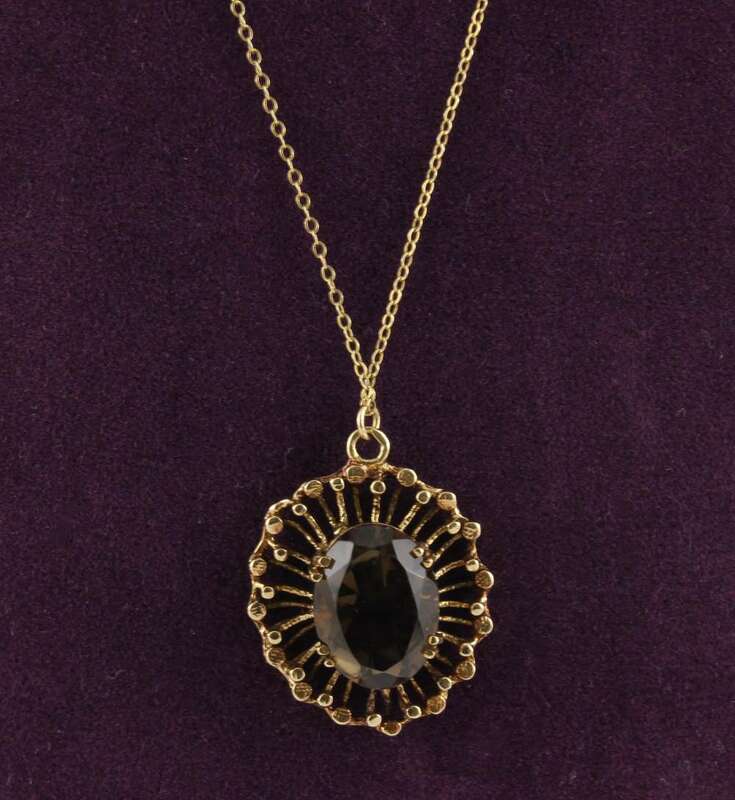 This true vintage 1970's yellow gold pendant has a large oval Smoky Quartz of 7.89 ct set within a striking textured curved bar and disc surround. 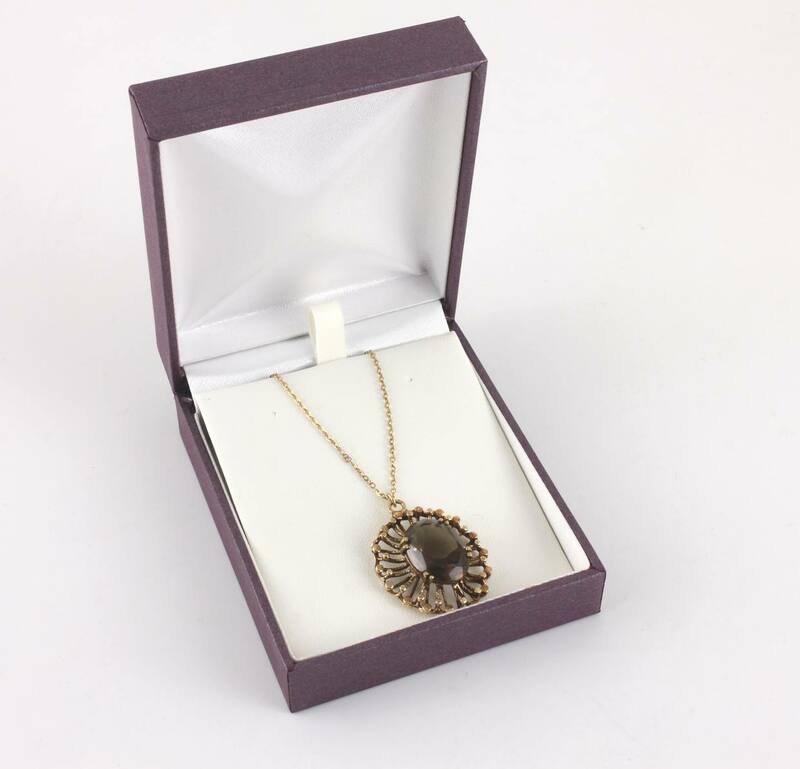 It's unusual design makes it a stunning retro statement piece. Both the pendant and trace-link chain are crafted in 9ct yellow gold. Pendant Length 3.1 cm including top loop. Chain Length 48 cm (18"). 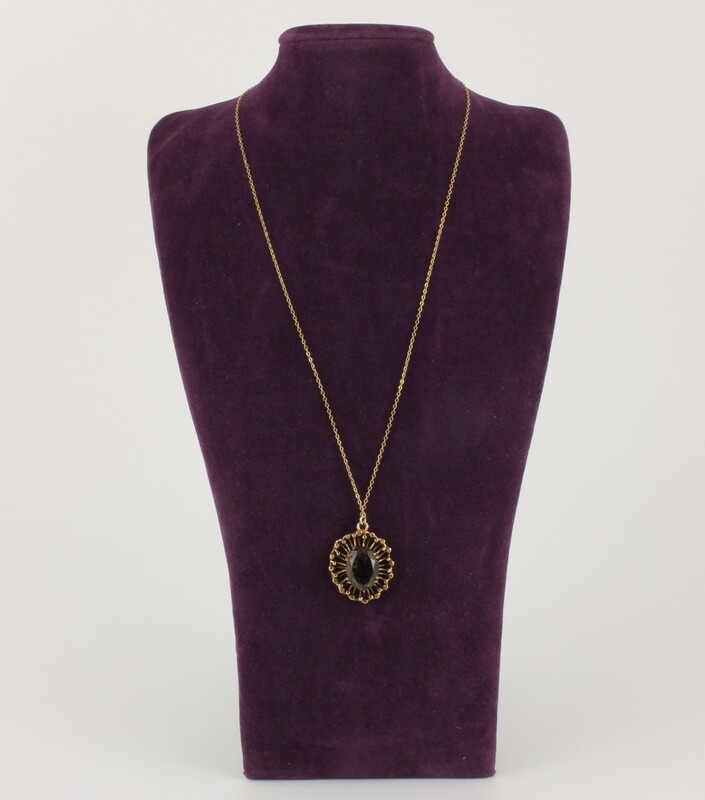 Total Weight of Pendant and Chain: 6.43 g.
Materials: 9 ct yellow gold. 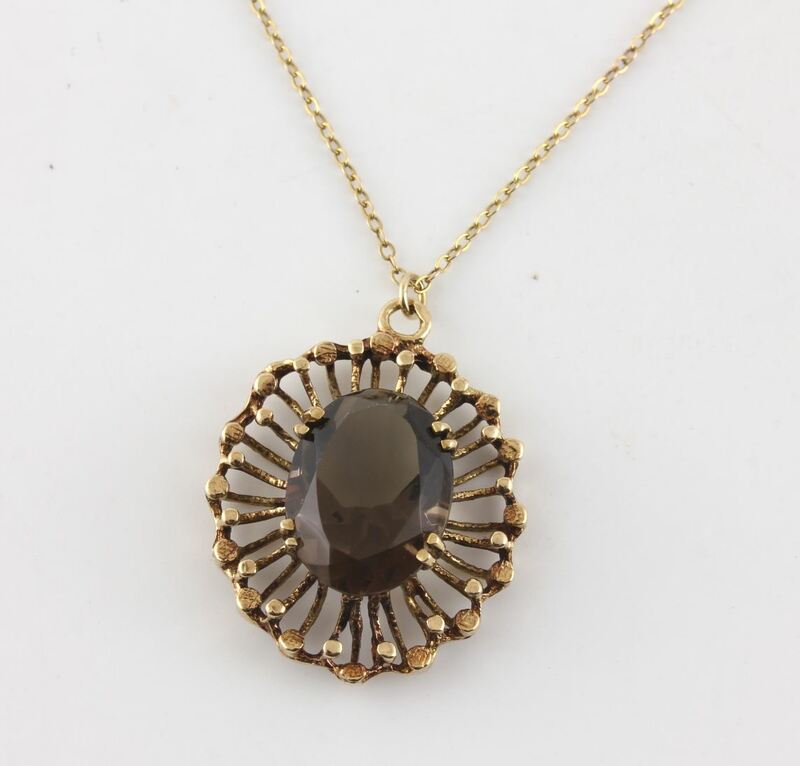 Smoky quartz is 7.89 ct.
Pendant Hallmarks: Fully hallmarked for 9 ct gold, London and with the date letter for 1975. Chain Hallmarks: 9ct for 9ct gold. Condition: Excellent vintage condition. Professionally cleaned and ready to enjoy. Please see pictures. Comes in a gift box.